Anyone who considers selling their property wants to leave this matter in the best hands. Reason enough to rely on an expert who knows the right value of your property. You would like to sell your property in Cologne or consider buying a house or apartment in cathedral city? Your real estate agents at Engel & Völkers offer attractive real estate properties in and around Cologne. With Engel & Völkers Cologne you benefit from over than 40 years of experience in the brokerage and marketing of high-quality real estate. 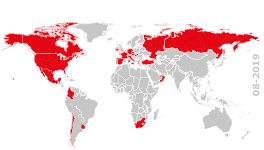 Our global network gives us access to a wide range of potential buyers, while our real estate agents in Cologne are very familiar with the regional market. If you are thinking of offering your property for sale in Cologne, but do not know exactly what your house, apartment or villa is currently worth, our real estate agents are happy to offer you the free, non-binding and discreet evaluation of your property in Cologne. Engel & Völkers has been one of the leading companies in the brokerage and marketing of exclusive real estate in the best residential areas worldwide for over four decades. Our Engel & Völkers team in Cologne will be happy to advise you on all questions concerning the purchase and sale of real estate in and around Cologne. We look forward to you. The Engel & Völkers NRW GmbH is part of the EuV Residential Lizenzholding GmbH group of companies. Villa, chalet, mansion: what’s the difference? Quiz: Old vs new homes - which type of building suits you? This data protection statement for the use of the website www.engelvoelkers.com/de-de/lizenzholding (hereinafter referred to as "the website") is valid as of 25th of May 2018. ● Personally identifiable data transmitted by the user's internet browser each time they access the website. This data is stored in log files, which are also known as server log files. This data includes: IP address (Internet Protocol address) of the accessing computer; name of the page accessed; date and time of access; related URL from which the user accesses the page; amount of transmitted data; status message for successful access; session ID number. ● In order to comply with the requirements of the applicable laws, to protect the security of an individual and the rights and property of Engel & Völkers and to prevent deception or security or technical problems. The legal basis for the processing of personally identifiable data is Art. 6 I lit. a, b and f of the General Data Protection Regulation (GDPR). The legitimate interest of Engel & Völkers entails the processing of personal data for direct marketing purposes per Art. 6 I lit. f GDPR. The provision of personal data by the user is voluntary. You can freely decide whether to provide personally identifiable data to Engel & Völkers and you may revoke previously declared consent to the processing of personal data. This revocation may lead to it no longer being possible to use the Engel & Völkers website. The processing of users' personally identifiable data is done only where necessary and is done exclusively electronically, in particular by: Collection, registration, organisation, storage, consulting, processing, modification, selection, extraction, comparison, use, interconnection, access and communication, blocking, deletion and destruction of data. The processing operations can be performed electronically and non-electronically. ● Third-party companies (e.g. IT service providers, hosting providers, etc.) to which Engel & Völkers has outsourced services with processing operations as part of order processing. • For defence in court in cases of legal dispute. If your contact request concerns products or services from other companies in the Engel & Völkers Group, Engel & Völkers will transmit the personally identifiable data you enter in this case to the respective company from the Engel & Völkers Group per your previous granting of consent. There will be no further transfer of your personally identifiable data by Engel & Völkers. In general, Engel & Völkers does not transfer personally identifiable data to non-EEA countries. The servers used by Engel & Völkers are located within the European Union. Engel & Völkers stores personally identifiable data for the time necessary to fulfil the purposes for which said data is collected and processed, including any retention period required by applicable law (e.g. retention of accounting records), in each case for a maximum of 60 months after the collection of personally identifiable information. To save the language selection: _icl_visitor_lang_js, _icl_current_language, evlocale. To save the selection of units of measure: engelundvoelkersconfig. To save recent searches: LAST_SEARCH. To save the ID of the watch list: watchlist_id. To save the test assignment for AB tests: user_ab. To store allocation to distributed systems for load balancers: BIGipServergroup-rz-webfe-prod. Engel & Völkers uses the Google Analytics web analytics service provided by Google Inc. ("Google") to analyse the use of the web pages. The information that is generated from cookies on the use of the websites are usually transmitted to a Google server in the US and stored there. Engel & Völkers uses Google Analytics exclusively with the extension "ga ('set', 'anonymizeIp', true)" to ensure that IP addresses are processed only as a shortened version and to exclude a direct reference to individuals. Google may disclose data to third parties as long as it is legally required to do so or insofar as third parties process data on behalf of Google. Google will not disclose the user's IP address in conjunction with other Google data. Engel & Völkers uses the universal analytics features provided by Google. With these features, Engel & Völkers can record and analyse socio-demographic information about users through a Google ID (if available) and Google-generated advertising cookies (DoubleClick). If a Google ID is available, the data controller will also record that data across all devices (for example, if users use a smartphone and a PC) to analyse traffic across all devices. This web site does not use profiling cookies. This website uses social media plug-ins offered the by major social networks (e.g. Facebook and Twitter). When you visit the website, browser data can be transferred directly to the respective social networks, even without direct user interaction. Users acknowledge and agree that the operation of social networking plug-ins is managed directly by the company offering the respective plug-in. When users use the plug-ins via the website (e.g. log in with their access data to a social network or link their accounts), they click on the respective button (such as Facebook's "Like" or "Share" buttons) and connect with the server of this social network, which then sends the content of the plug-in directly to the user's browser. This website uses Facebook social plug-ins operated by Facebook Inc., 1601 S. California Ave, Palo Alto, CA 94304, USA ("Facebook"). If users access the Engel & Völkers pages via Facebook or vice versa, the user's browser will create a direct link to Facebook servers. If the user is logged on to Facebook, Facebook can assign the user's visit to his or her Facebook account. When the user interacts with the plugins, for example by clicking on the "Like" button or posting a comment, the respective information is transferred directly from the user's browser to Facebook and stored there. The purpose and scope of the processing of data by Facebook, in addition to the respective user rights and settings options for the protection of their privacy, can be found in the Facebook Data Policy (https://www.facebook.com/about/privacy/). The Website uses the +1 interface of the Google Plus social network operated by Google Inc., 1600 Amphitheater Parkway, Mountain View, CA 94043, USA ("Google"). When the user presses the +1 button, the user's browser will connect directly to Google servers. The content of the +1 interface is transmitted directly from Google to the user's browser and is integrated into the website from there. The purpose and scope of the processing of data by Google, in addition to the respective user rights and settings options for the protection of their privacy, can be found in the +1 Buttons Policy (https://developers.google.com/+/web/buttons-policy). The website uses the features of the Twitter microblogging service offered by Twitter, Inc., 795 Folsom Street, Suite 600, San Francisco, CA 94107, USA. By using the Twitter features, the websites visited by the user are linked to their Twitter account and made known to other users. During this process, data is also transferred to Twitter. To prevent the providers of the respective social media plug-ins from gathering information about users, the latter can log out of the social-media network at the beginning of their visit to the website and delete any possible cookie from their browser. You are entitled to receive information about the processing of your personally identifiable data (for example the origin of this data, the purpose of the processing, the modalities of data processing). Furthermore, you are entitled at any time to object to the processing of data for the future, to restrict it, or to demand the deletion of the data. Finally, you can prevent the sending of promotional material or the execution of market research or commercial communications at any time. - Complain to supervisory authorities. To exercise the above rights and request information, users can write to the following e-mail address lizenzholding@engelvoelkers.com or the postal address EuV Residential Lizenzholding GmbH, Residenzstr. 23, 80333 Munich, Germany. In the same way, users can revoke, correct and delete their data at any time. The responsible body for data processing is EuV Residential Lizenzholding GmbH, Residenzstr. 23, 80333 Munich, Germany. If you have any questions about our data processors, we will be happy to provide you with an up-to-date list of them. This data protection statement is valid as of 25th of May 2018. ● and (in cases of purchase/sale or rental of property) bank details, identity information, copy of ID (when buying a property) and land register, electricity, oil and/or gas bills, general individual cost bills, sale contract (when selling a property) or (when renting a property) bank details, information on identity, CV, proof of income, proof of creditworthiness, letting contract. In the following, this information is referred to as "data" or "personally identifiable data". If your enquiry concerns products or services from other companies in the Engel & Völkers Group, Engel & Völkers will transmit the personally identifiable data you thus enter to the respective company from the Engel & Völkers Group in accordance with your previous granting of consent. We also provide information on referrals. In addition, your personally identifiable data will only be passed on by Engel & Völkers within the framework of the fulfilment of the contractual relationship and with prior consent from you. In particular, the data is passed on to your contractual partners, notaries and land registries. In this context, Engel & Völkers is also subject to the Money Laundering Act and is, if necessary, obliged to pass on your data to supervisory authorities. ● Third-party companies (e.g. IT service providers, hosting providers and delivery companies) to which Engel & Völkers has outsourced services with processing operations as part of order processing. In general, Engel & Völkers does not transfer personally identifiable data to non-EEA countries. The servers used by Engel & Völkers are located within the European Union. However, Engel & Völkers uses the services of Google Ireland Limited for e-mail communication. Within the framework of the maintenance of these products, Google is also entitled to access to the e-mail communication system in countries that are not in EEA countries. This access is performed on the basis of the EU standard contracts, as well as on the basis of data protection certifications. Engel & Völkers stores personally identifiable data in connection with a contract for the duration of the retention period specified in the statutory provisions. In addition, Engel & Völkers stores your data in connection with the receipt of commercial information up until you revoke your consent from Engel & Völkers. You are entitled to receive information about the processing of your personally identifiable data (for example the origin of this data, the purpose of the processing, the modalities of data processing). Furthermore, you are entitled at any time to object to the processing of data for the future, to restrict this or to demand the deletion of the data. Finally, you can prevent the sending of promotional material or the execution of market research or commercial communications at any time. To exercise the above rights and request information, you can contact the following e-mail address lizenzholding@engelvoelkers.com or the postal address EuV Residential Lizenzholding GmbH, Residenzstr. 23, 80333 Munich, Germany. However, Engel & Völkers uses the services of Google Ireland Limited for e-mail communication. Within the framework of the maintenance of these products, Google is also entitled to access to the e-mail communication system in countries that are not EEA countries. This access is performed on the basis of the EU standard contracts, as well as on the basis of data protection certifications. Insofar as the order for the marketing of a property or the search for a property takes place, Engel & Völkers will store your personally identifiable data as described under "Visiting Our Shops". Engel & Völkers stores your data in connection with the receipt of commercial information up until you revoke your consent from Engel & Völkers. To exercise the above rights and request information, you can contact the following e-mail address lizenzholding@engelvoelkers.com or the postal address EuV Residential Lizenzholding GmbH, Residenzstr. 23, 80333 München, Germany. EuV Residential Lizenzholding GmbH has received your personally identifiable data from a company belonging to the Engel & Völkers licence partner network. This personally identifiable data was forwarded on the basis of your consent. Your personally identifiable data will only be passed on by Engel & Völkers within the framework of the fulfilment of the contractual relationship and with prior consent from you. In particular, the data is passed on to your contractual partners, notaries and land registries. In this context, Engel & Völkers is also subject to the Money Laundering Act and is, if necessary, obliged to pass on your data to supervisory authorities. Data protection information in connection with an unsolicited application to Engel & Völkers or an application based on a job advertisement? Engel & Völkers NRW GmbH Personal data includes, among other things, the first name, surname, e-mail address, telephone number, CVs and other data and documents sent along (hereinafter summarised as "personal data").By participating in the application process and sending us your application, you provide Engel & Völkers with your personal data. ● Examination of the application for an employment relationship within our company (legal basis is the pre-contractual contractual relationship according to Art. 6 I lit. b DSGVO or your consent according to Art. 6 I lit. a DSGVO, if you applied via the global online job portal of Engel & Völkers AG). ● Defence of any legal claims asserted against Engel & Völkers in the application procedure, if necessary (legal basis is the legitimate interest of Engel & Völkers to fulfil its duty of proof in a procedure according to the General Equal Treatment Act (AGG); Art. 6 I.it. f DSGVO.). ● Furthermore, Engel & Völkers processes your personal data on the basis of a previously given consent in order to inform you about interesting job offers. These job offers will be made available to you from time to time by the Engel & Völkers department to which you have addressed your application. Engel & Völkers requires your personal data in order to fulfil the processing purposes listed above. You are free not to provide any personal data of any kind to Engel & Völkers. In this case we cannot allow you to participate in the application process for vacancies. We process personal data only if it is necessary. Processing is either digital or in paper form. The processing of personal data also includes in particular the collection, registration, administration, storage, modification, selection, comparison, access and communication. Please note that emails are sent unencrypted as part of the application process. If you do not wish this, please contact us by post. Engel & Völkers treats your data with the utmost confidentiality and in accordance with the legal data protection standards. ● Third parties (e.g. IT services providers or hosting providers, etc.) to whom Engel & Völkers has transferred or "outsourced" tasks. These are so-called contract processors. If you applied via the global online job portal of Engel & Völkers AG, your application documents were sent to us by Engel & Völkers AG. You have learned how Engel & Völkers AG processes your personal data during the application process and can read about it at any time via the global online job portal on the corresponding website of Engel & Völkers AG. Engel & Völkers does not transfer any personal data to non-EEA countries without your consent. The servers used by Engel & Völkers are located within the European Union. However, Engel & Völkers uses the services of Google Ireland Limited for email communication. As part of the maintenance of these products, Google is also entitled to access the email communication systems of countries that are not EEA countries. This access is based on the EU standard contracts and on the basis of data protection certifications. If your inquiry relates to companies of the Engel & Völkers Group outside the European Union, we transmit your data after your consent. In cases where personal data is transferred to countries that do not offer the same level of protection as within the European Union and you have not expressly consented to the transfer of your data to these countries through your consent, Engel & Völkers ensures that certain contractual obligations are agreed with each service provider in accordance with the applicable data protection law (including the implementation of the standard contractual clauses approved by the European Commission), unless Engel & Völkers can invoke other legal bases for the transfer of personal data. Engel & Völkers processes your personal data exclusively as long as it is necessary to achieve the processing purpose - however for a maximum period of 6 months after a given cancellation. Upon completion of the application process or in the event that you object to data processing, we will also delete your data. The deletion takes place according to the legal requirements. Only if you have given your consent that we should also send you other interesting job offers, the data will not be deleted until you object to your consent. If an employment relationship is concluded, we store your applicant data within the scope of the contractual relationship. You have a right of access to the processing of your personal data (e.g. the origin of these data, the purpose of processing, the modalities of data processing). Furthermore, under certain conditions you are entitled to revoke the data processing for the future, to restrict it or to request the deletion of the data. Finally, they may at any time prevent the sending of advertising material or the conduct of market research or commercial communications. Please note that your right of cancellation is subject to restrictions. For example, we do not have to or are not allowed to delete any data that we have to keep for legal retention periods. Data that we need to assert, exercise or defend legal claims are also excluded from your deletion right. In order to exercise the above rights and to request information, you can contact the following e-mail address koeln@engelvoelkers.com or the postal address Engel & Völkers NRW GmbH, Dürener Strasse 191, 50931 Cologne, Germany. Engel & Völkers NRW GmbH, Dürener Strasse 191, 50931 Cologne, Germany, is responsible for data processing. Register for our weekly Newsletter and get our latest properties in and around munich via email automatically. The Rhine metropolis Cologne is greatly attractive as a real estate location and place of residence. The combination of tradition and modernity is unique in the cathedral city and is reflected in the variety of real estate: Whether condominiums from the early days, palatial old villas, contemporary townhouses or trendy penthouses - in Cologne, everyone interested in buying the right property will find one that suits their needs. Let the Engel & Völkers real estate agents show you the most beautiful districts of Cologne with their very own character and discover the best residential areas in the metropolis with us. These include Braunsfeld, Junkersdorf, Klettenberg, Sülz, Marienburg, Bayenthal, the old and new Cologne, the Agnesviertel, Riehl, Nippes, Ehrenfeld, Lindenthal, Müngersdorf, Weiden, Lövenich, Rodenkirchen, Hahnwald, Sürth and Weiss. Engel & Völkers also checks the areas on the right bank of the Rhine Deutz, Brück, Dellbrück and Rath-Heumar. The expertise of Engel & Völkers real estate agents also includes the sale of high-quality real estate in Cologne. When it comes to the sale of their villa or apartment, Property owners benefit from the comprehensive market knowledge of our real estate agents and a tailor-made marketing concept, which presents the property in the best possible way. Thanks to the annual market data, the real estate brokers at Engel & Völkers Köln are well acquainted with the Rhine metropolis and have valuable knowledge regarding the advantages of the location and the price development of real estate. As the fourth largest city in Germany, Cologne is an important business and educational location and a major transportation hub. As far as the infrastructure is concerned, Engel & Völkers real estate agents can assure that homebuyers in Cologne are connected greatly. The city is conveniently located, with the Cologne motorway ring, which consists of the highways A3, A4 and A1, which provide ideal connections for local and long-distance traffic. If you want to leave the car at your newly purchased house or your new apartment and use public transport, Cologne Central Station offers a variety of routes. Since it is one of the most important hubs in Germany, it has a long list of train connections that run minute by minute. For shorter distances, the Engel & Völkers property agents describe Cologne as a top development site. Numerous busses, trams and subways transport you from your new villa on the Rhine, your loft in Cologne's Neustadt or your detached house in Bayenthal to almost any desired destination. The vacancy rate of only 1% confirms the high demand for real estate in the cathedral city and is an expression of the ongoing housing shortage. The real estate brokers at Engel & Völkers Cologne are considering the continuously increasing population - The current population is at 1,077,768 in Cologne, which corresponds to an increase of 5% compared to 2012 - from the assumption that property prices will continue to rise in the future. An end to the population boom, with an estimated population of 1.2 million by 2040 is not in sight. The effects on the real estate market in Cologne can be expected just by comparison to the past years. Condominium sales prices in 2012 were around an average of € 2,504 per square meter, and are currently at € 3,492. The trend for the purchase prices of one- and two-family houses points in the same direction: upwards. It is not the easiest task to find a first-class property for sale in a metropolis as sought-after as Cologne. 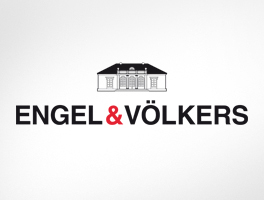 Engel & Völkers is a world-renowned expert in the purchase and sale of luxury real estate, with years of experience in providing quality real estate, a unique network, constantly updated market data and well-trained real estate agents. On the other hand, Cologne has a wealth of history and real estate on the other hand: prestigious condominiums in the Agnes district, stately villas in Marienburg, single-family homes in Braunsfeld, Klettenberg or Sülz or hip penthouses in the old town - the real estate agents at Engel & Völkers market real estate of all kind for sale in Cologne. Stop by for a personal consultation in one of our three Engel & Völkers residential real estate shops in Lindenthal, Rodenkirchen or Cologne City; Our real estate agents will gladly answer all your questions about buying or selling real estate in Cologne.